Within the wanderlust embodied in Alec Soth’s photographs is an impulse to uncover narratives that comprise the American experience. 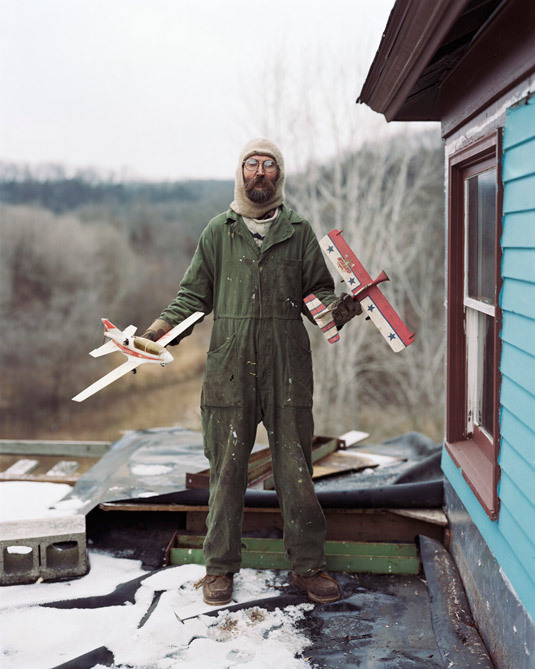 “From Here to There: Alec Soth’s America,” organized by the Minneapolis-based Walker Art Center, will open at Cranbrook Art Museum November 17, 2012, and run through March 30, 2013. It is the first major U.S. survey to explore the past 15 years of work by one of the most compelling voices in contemporary photography. While Soth’s practice has taken him throughout the world, the Cranbrook exhibition focuses specifically on his pictures made in the United States. Featuring over 100 photographs, the presentation includes early black-and-white images of Minneapolis working-class taverns, as well as examples from his well-known series Sleeping by the Mississippi, NIAGARA,Fashion Magazine, The Last Days of W, Soth’s major new series, Broken Manual, as well as other bodies of work not exhibited until now. Soth will also debut a new body of work at Cranbrook that will be the result of a “road trip” the artist will be taking across Michigan in the weeks leading up to the presidential election in November. Soth’s distinct perspective is one in which the act of wandering, the method of embracing serendipity when seeking out his subjects, and the process of telling are as resonant as the photographic record of his remarkable encounters. When considered together, these pictures probe the idiosyncrasies of people, objects and places he discovers on his journeys, and form an offbeat and absorbing portrait of the American experience. From Here to There: Alec Soth’s America is organized by the Walker Art Center, Minneapolis, and made possible by generous support from Carol and Judson Bemis, Jr., Marilyn and Larry Fields, Linda and Lawrence Perlman, and Geri and Dar Reedy.